X-ray high tension cable is an important part of x-ray machines. However, in practical use, how to determine X-ray high voltage cable breakdown and x ray tube vacuum reduction? Therefore, Newheek carried out experiments on this problem. First put the ball in the anode and the cathode cable head, hanging in the air and cable head cannot alignment metal can produce high voltage discharge, otherwise it is worth noting that the cathode must solve, after off if anode cathode unsolved, add high voltage anode filament light, electron bombardment will launch the anode target surface, anode target surface is punctured or partial melting. 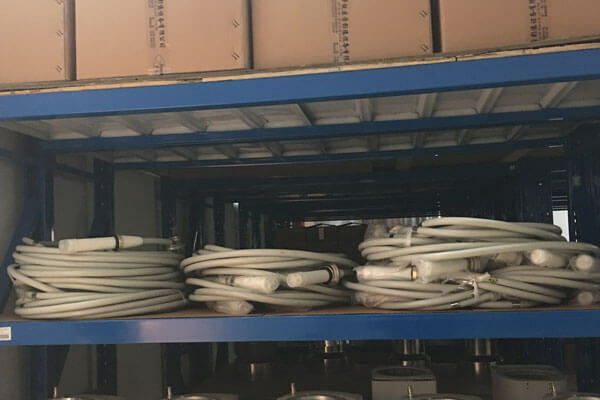 In 75 kv, 0  06 s under the condition of high voltage electric test, observation milliammeter presence of index, with partial confirmed cable breakdown, or from the high voltage generator anode high voltage cable will be pulled up. Newheek X-ray high tension cable consists of 75KV and 90KV, which are suitable for different types of X-ray machines. Newheek x-ray high tension cable can cater to your specific needs. Do you know coaxial cable assemblies?